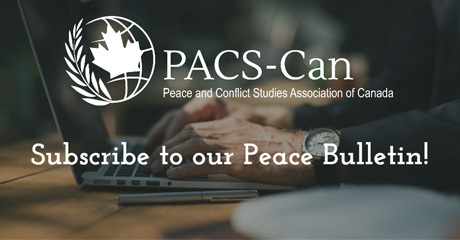 Each year Canadian School of Peacebuilding (CSOP), an institute of Canadian Mennonite University, invites the peacebuilders of the world to gather in Winnipeg, Canada, for a selection of five-day courses in June. Take a course or two for professional and personal development or for academic credit. They offer courses from local, national and international peacebuilders, to serve practitioners, professionals, activists, students, non-governmental organizations, and faith-based groups. Consider learning with this international network in various approaches to peacebuilding, justice, reconciliation, conflict resolution, and development. Click here for the 2019 course list.